F-Stop Magazine: The “Where I Live” issue of F-Stop Magazine features your project “Mea Sharim”, can you tell us about this project? What led to this project? 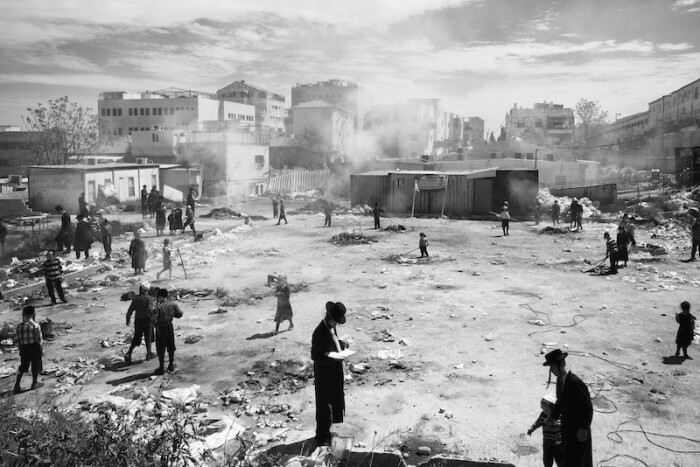 Ofir Barak: Mea Shearim was established in 1874 as the fifth settlement outside the walls of the Old City of Jerusalem. Its name is derived from a verse in the weekly Torah portion that was read the week the settlement was founded: “Isaac sowed in that land, and in that year he reaped a hundredfold (שערים מאה, Mea Shearim); God had blessed him” (Genesis 26:12). 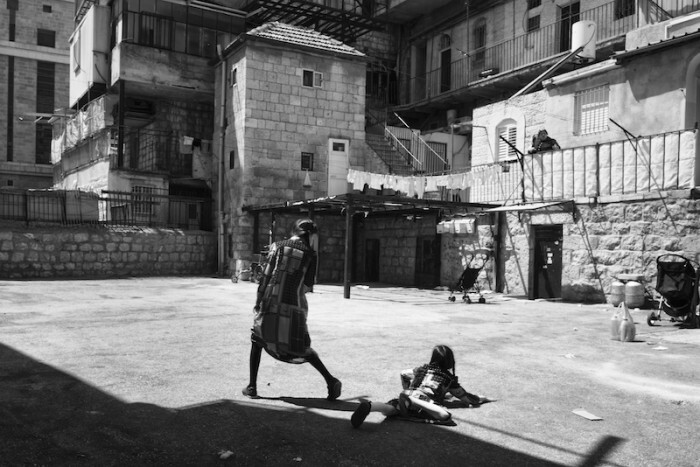 Today, Mea Shearim remains an insular neighborhood in the heart of Jerusalem with its overwhelmingly Hasidic population. Life revolves around strict adherence to Jewish law, prayer, and the study of Jewish religious texts. The sights that I witnessed during my initial visits to this area were different from anything that I’d ever seen, because the residents resembled one another so strongly. Traditions in dress code for men include black frock coats and black hats. Long, black beards cover their faces, and many grow side curls, called payots. Women and girls are urged to wear what is considered modest dress – knee-length or longer skirts, no plunging necklines or midriff tops, and no sleeveless blouses or bare shoulders. Some women wear thick black stockings all year long, even in summer, and married women wear a variety of hair coverings, from wigs to head scarves. 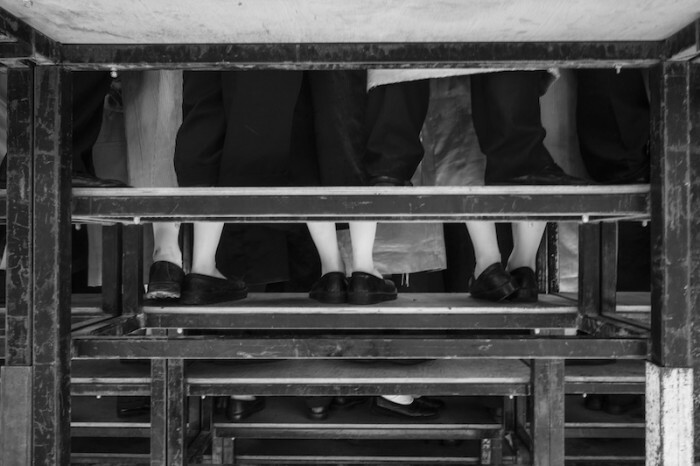 The residents speak Yiddish in their daily lives, as opposed to the Hebrew language spoken by the majority of Israel’s population. The only use of Hebrew for residents is in prayer and religious study, as they believe that Hebrew is a sacred language to be used only for religious purposes. This area has a lot of contradictions even today and there is an ongoing pursuit of the old versus the new. One can say it is the past versus the present. It is basically a city within a city. 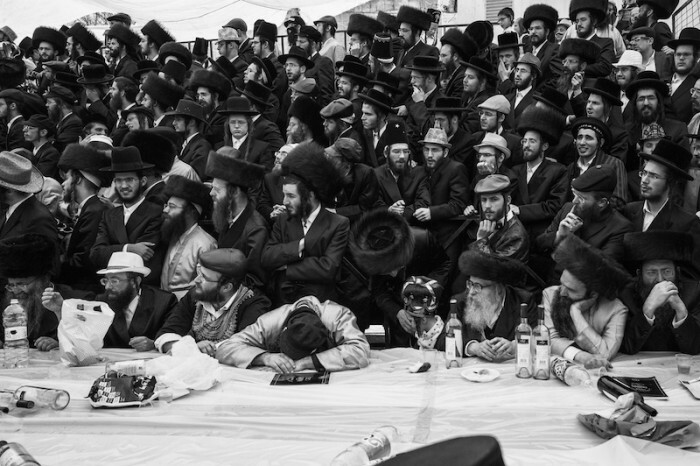 I began documenting Mea Shearim in early 2014 after returning to Israel from the U.S. During the time I spent there I learned a lot about photography and once returning I had an idea in mind of what I wanted to create.